Does the prize money add motivation or are you in it purely for the competetiveness? The money is of course a motivation, in the way that my dream is to live off of what I love to do. But I am also motivated to fight because I always want to meet top fighters and fighting for a good cause is always a honor. 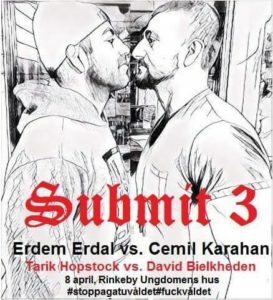 What do you know about the opposition (Cemil, Erdem and David (David Bielkheden kommer ersättas av Jonatan Westin från Allstars) and who do you think makes it to the final between Cemil and Erdem? I only know Cemil from before, but I’ve heard a lot about David and Erdem. From what I know, I believe Cemil will win. But a fight is a fight, so who knows. How do you see yourself winning? Hopefully I’ll win both fights by submission, but it won’t be easy with these high level athletes. How will you spend the prize money? I will spend the money on further competitions and travels around the world. Thanks again grapplingbloggen! I’m looking forward to the event! 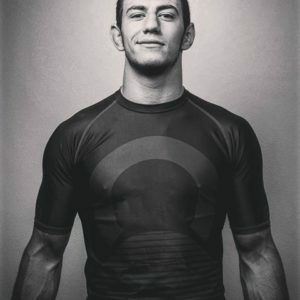 Håll koll på Grapplingbloggen imorgon för den fjärde och sista delen i ”Inför Submit”-serien, där vi presenterar superturneringens sista och senaste deltagare, Jonatan Westin från Allstars. För mer info om Submit 3 kan ni läsa ”Helgens tävling: Submit 3 i Rinkeby” som publicerades i måndags.